Square has hired Francoise Brougher, formerly an executive at Google, to act as Square’s new business lead, the company announced on Thursday. At Square, Brougher will be charged with overseeing the commerce startup’s growth across revenue products, handling the company’s expansion into international and emerging markets and working on business development partnerships with other companies. Brougher was most recently the VP of SMB global sales and ops at Google. Essentially, this is Square taking on someone who has lots of experience in growing the long-tail SMB base for a company. Pretty important for a startup like Square, which thrives on recruiting small- and medium-sized businesses over to using its payments platform. 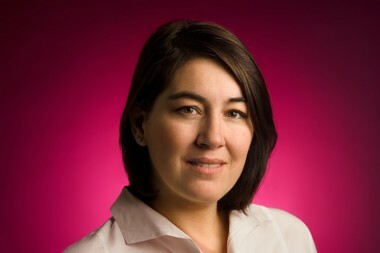 “We are grateful to Francoise for her contributions to Google and wish her the best in her new role,” a Google spokesperson told AllThingsD. Prior to her work at Google, Brougher was VP of business strategy at Charles Schwab and Co. in the U.S. and Europe, and did a stint as a management consultant at Booz Allen Hamilton, among other positions.